The global economy is in flux, again, and finding employment can be quite the challenge. Lots of people are unemployed, while others are underemployed. And then there is Richard Magarey. 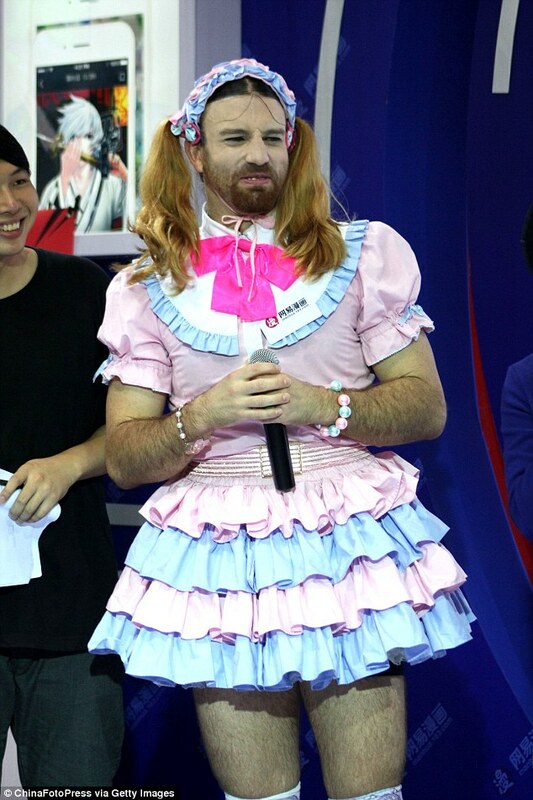 You might not know his real name, but trust me, if you’ve seen him as his alter ego, Ladybeard, he’s left an impression burned into your brain. So what does a big, burly guy from Adelaide, Australia do when he turns twenty-one? He leaves behind the most livable city in Australia to move to China, where he hopes to establish himself as a stuntman in martial arts films. When that avenue didn’t pan out as well as he hoped, Richard Magarey decided to give his taste for theatrics a new outlet: wrestling. He moved to Hong Kong and generated considerable buzz on the wrestling scene. It might have been that at six feet three inches tall, he towered over his competitors. Or it might have been that at 220 pounds he really filled out his dress. Yes, that’s right, his dress. Ever since he wore his sister’s dress to a Halloween party at age 14, Magarey had found cross dressing felt right. He soon turned this into his shtick. He found that the dress on its own was a step in the right direction, but to complete the ensemble, he grew his hair long so he could put it in pigtails, and rounded it all out with a beard. 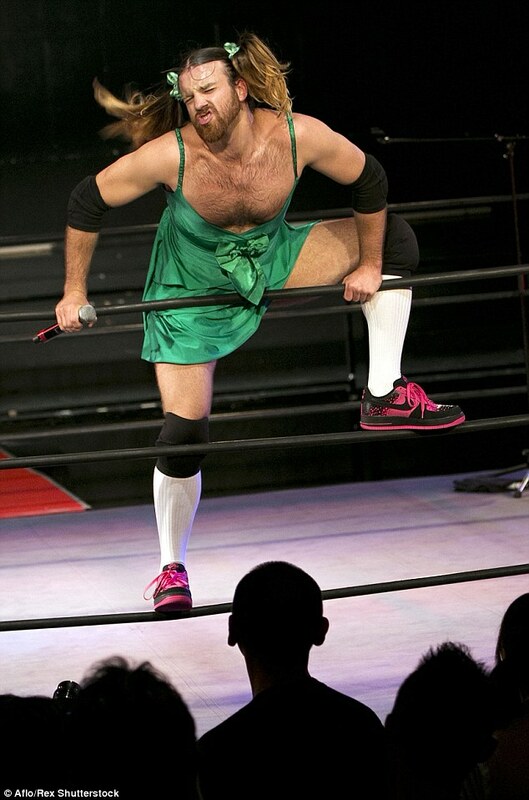 Having pinned and back-flipped his way to the top of the Hong Kong wrestling circuit by 2013, Magarey, now going by the name Ladybeard, took his act on the road to Japan. Once there he learned of a style of music that intrigued him: J-pop songs covered by death metal bands, known as Kawaiicore. 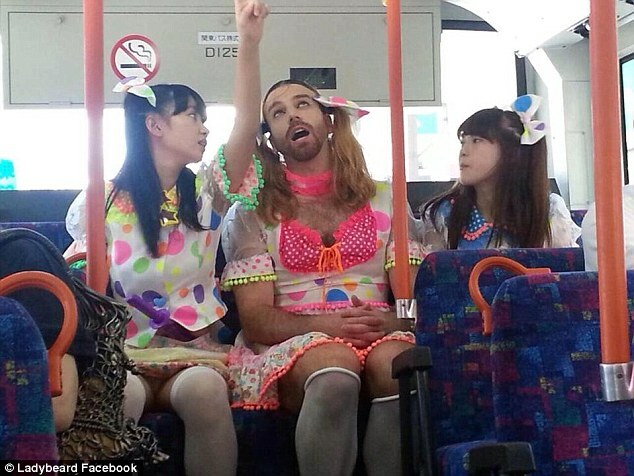 Ladybeard had a new passion and he threw himself into creating a band. Soon he formed Ladybaby with 17-year-old Rie Kaneko and 14-year-old Rei Kuromiya. Through a combination of choreographed dancing and screaming, it is death metal after all, the band has become an international phenomenon. Their first single, Nippon Manju (Japanese Bun), has gone viral as the three make their way around Tokyo proclaiming all the things they love about the country. 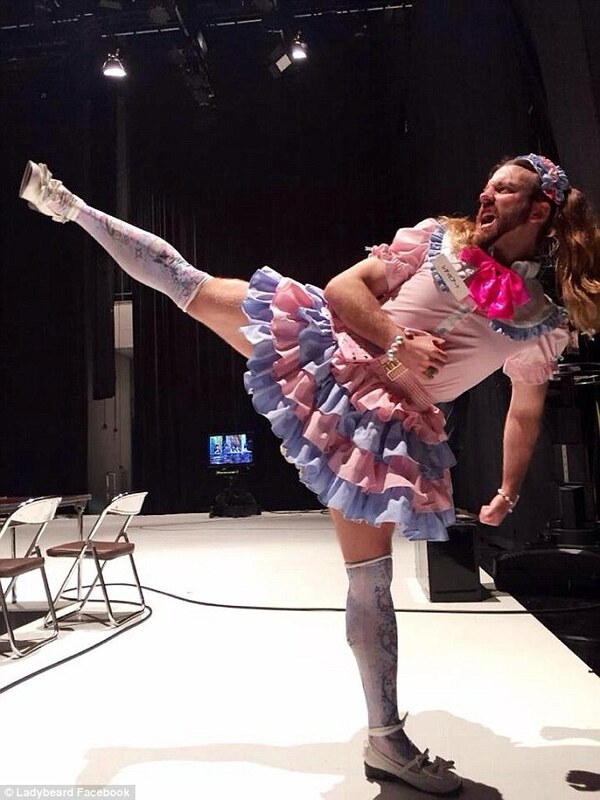 Admittedly, Ladybeard’s Japanese is still pretty rough. But considering that the band was just signed to a contract for a little over $4 million, I have a feeling he’ll be screaming words for a long time to come.